The most significant news for Week 4 of Sep 2013 was the The Telegraph reported that BlackBerry agreed to sale for $4.7 bn. Pizza Hut Singapore deploys predictive consumer behavioural intelligence. Brocade and EMC Work Together to enable Software-Defined Storage for EMC Fibre Channel SAN Install Base. AMD Selects Sapphire as Exclusive Global Distribution Partner for AMD Firepro. First-Ever YouTube music awards@3-Nov-2013 !! Arkadin becomes an official provider of Tata Comm.’ jamvee™ video service. WD new MyBook line offers up to 4TB of Storage and auto backup with Dropbox. 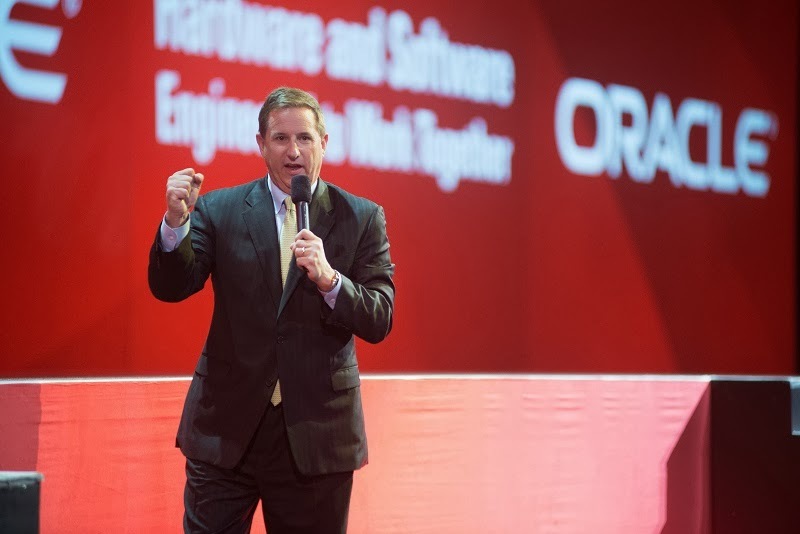 Oracle advanced its vision of the “Future of Work” during Oracle OpenWorld 2013. SG Govt to spur VC initiatives. Tata Comm. trials next generation video distribution with Formula 1. Cisco delivers network convergence system to power "Internet of Everything"
Adobe delivers standardized audience metrics for digital publishing industry. I've been INFORMED by PR firm that Capillary Technologies, a leading provider of cloud software solutions that help businesses to engage intelligently with customers through mobile, social and in-store channels, today announced that its Multi-Channel Intelligent Customer Engagement™ solutions are helping Pizza Hut Singapore improve profitability and increase store sales. Pizza Hut is the world's largest pizza chain with over 12,500 restaurants across 91 countries. In Singapore, the brand serves over 1.1 million households defined by unique tastes, behaviours and consumption habits. I've been INFORMED by PR firm that Brocade today announced that the company’s storage area networking (SAN) management technology is now available for more than 50,000 joint EMC and Brocade customers to immediately realize the virtualization benefits of the EMC® ViPR™ Software-Defined Storage Platform within highly virtualized cloud environments. EMC ViPR is the world’s first software-defined storage platform that is designed to provide the ability to manage both storage infrastructure (called the Control Plane) and the data stored within that infrastructure (called the Data Plane). It masks the complexity behind configuring and managing storage infrastructure, providing single point-and-click management for complex, heterogeneous storage functions. I've been INFORMED by PR firm that AMD today announced SAPPHIRE Technology as its exclusive global distribution partner for AMD FirePro™ professional graphics. An international supplier and leading manufacturer of innovative technologies, SAPPHIRE has successfully collaborated with AMD for more than a decade, managing AMD products in various markets and acting as an AMD FirePro professional graphics channel partner in Asia. Oct 1, 2013 - First-Ever YouTube music awards@3-Nov-2013 !! I've been INFORMED by PR firm that On Sunday, November 3rd, YouTube will host the first-ever YouTube Music Awards, a celebration of music honoring the artists and songs that YouTube fans have turned into global hits over the past year. Unlike traditional award shows, this event will present performances by Eminem, Lady Gaga and Arcade Fire alongside other top artists and some of YouTube’s biggest stars including Lindsey Stirling and CDZA. The YouTube Music Awards will also feature musical events from Seoul, Moscow, London and Brazil, culminating in a live awards celebration at Pier 36 in New York City. From Eminem breaking records with "Love the Way You Lie" to Arcade Fire’s innovative “Here Comes the Night Time” variety special and Lady Gaga reinventing the music video, established artists are connecting with hundreds of millions of people on YouTube who now define what the world is listening to. To celebrate this global music community, the YouTube Music Awards will be powered by the fans themselves. I've been INFORMED by PR firm that Tata Communications today announces an agreement with Arkadin, one of the world’s largest and fastest growing collaboration service providers. Arkadin becomes an official APAC provider of Tata Communications’ recently launched jamvee™ conferencing - an on-demand unified communication service which enables, for the first time, anyone, anywhere*, to instantly access a business video meeting on ANY device – be it desktop, laptop, tablet, smartphone, Telepresence or video conferencing rooms. Connecting via video across multiple devices and platforms has never been easier. Delivered through the world’s only fibre optic cable ring around the globe, jamvee™ is a global video conferencing tool for enterprises that makes video conferencing - both within and between companies - as easy as making an audio conferencing call. I've been INFORMED by PR Firm that High resolution images, full HD videos and folders of documents – a typical collection of content found in an Average Joe’s peripheral storage device, and the need for greater storage capacity and secure back-up system are on the rise. With that in mind, WD, a Western Digital company, has redesigned its range of My Book offerings, with storage up to 4TB and data protection features, enabling users to store their favourite content and be assured that they are well-protected. The new drives’ data protection features are perfect for backing up content collections. WD SmartWare™ Pro automatic back-up software with Dropbox™ integration offers cloud backup capabilities, and the WD Edition of Acronis® True Image™ enables users to execute a full system backup and securely delete digital files and programs. I've been INFORMED by PR Firm that during the conference, Evernote introduced of Evernote Market, and Evernote Business 2.0 plus key partnership announcements including collaboration with Salesforce. The Evernote Market consists of apps from partners; Evernote Business enhances work place productivity through Knowledge Discovery Tools in Evernote Business 2.0. I've been INFORMED by PR Firm that Oracle Corporation kicked off its annual conference, Oracle OpenWorld 2013, in San Francisco, US with tens of thousands of participants from across the country and around the world gathered for an intense five days of learning and networking sessions from 22 -26 September 2013. 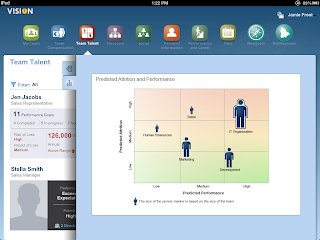 During Oracle OpenWorld 2013, Oracle has showcased its Human Capital Management (HCM) vision and roadmap, investments in existing and newly acquired solutions, and how Oracle has addressed key trends in HCM including social, mobile, big data and cloud. 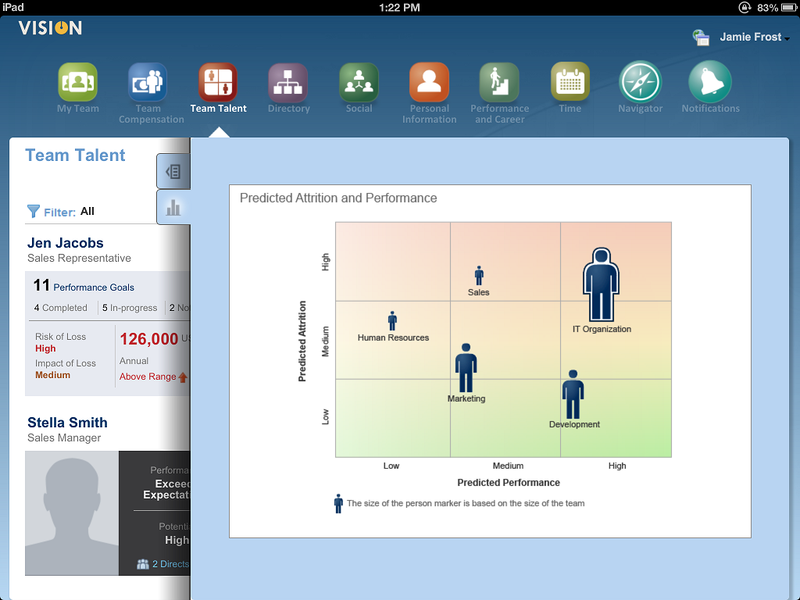 New updates to Oracle HCM Cloud and Oracle Talent Management Cloud, which is now available in the Oracle Cloud as part of Release 7, will help organizations to attract, retain and reward talent in alignment with the business. One of the key features is the ability to perform Streamlined Succession Planning: By connecting the talent review dashboard with succession plans and talent pools, HR benefits from a more holistic and robust view into talent. I've READ from; e27,no-follow,http://e27.co/2013/09/26/singapore-to-coinvest-an-additional-s50m-with-vcs-to-spur-funding-landscape/; that the SG Govt will pump in S$50 million for venture capitalist activities, a strategy in hope that more other venture capitalist firms will follow suit; the fund will be managed by disbursed through the National Research Foundation’s (NRF) Early Stage Venture Funding Scheme. According to the report, industry players see this move as a big money move, both implying that start-ups must be aware of the high valuation stake and that investors must be willing to put in a bigger sum. The reason for the high valuation stake for all parties is due to the option which allows investor to buy back the shares from NRF at a fixed interest rates of 5% - in other words, this is a great deal for all parties and that the SG govt will absorb a considerable amount of risks involved - high demand rises up valuation. In another development; e27,no-follow,http://e27.co/2013/09/27/tradehero-raises-us10m-from-kpcb-china-and-ipv-capital/; announced that MyHero Limited, a Singapore-based parent company behind mobile app TradeHero today announced its US$10 million Series A round with KPCB China and IPV Capital. The question to ask now is that will SG going to contemplate becoming the Silicon Valley of ASIA ? It will have to meet a few challenges which include high costs of living and brain drain of the best talents to U.S.
And how can this trend benefits the start-ups from Malaysia ? 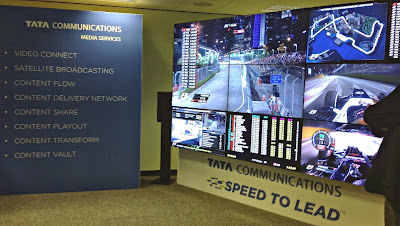 Tata Communications, a leading provider of A New World of Communications, has successfully showcased the next generation of capability for video distribution by relaying content from the 2013 FORMULA 1 SINGTEL SINGAPORE GRAND PRIX directly to Formula One Management’s Biggin Hill headquarters in the UK. 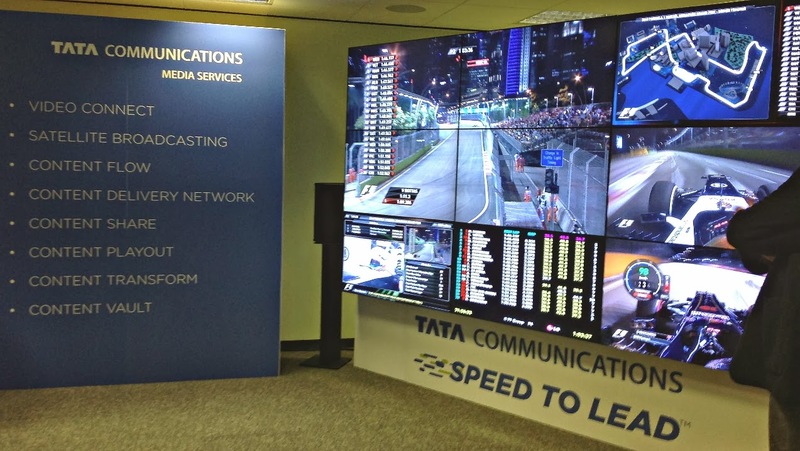 The live video feed was sent using Tata Communications’ Video Connect service on its wholly-owned fibre network in what was Tata Communications’ first live video contribution demonstration for Formula One Management and a group of leading broadcasters. The capability demonstration included the supply of JPEG 2000 quality video live from the race circuit as well as multiple programme feeds – all made possible due to the use of its fibre network and media management services. Sep 24, 2013 - Cisco Delivers Network Convergence System to Power "Internet of Everything"
I've READ from ; Cisco,no-follow,http://newsroom.cisco.com/release/1268183/Cisco-Delivers-Network-Convergence-System-to-Power-Internet-of-Everything; that they have introduced the Cisco® Network Convergence System (NCS), a network fabric family designed to serve as the foundation of a massively scalable, smarter and more adaptable Internet. The system's programmability and virtualization capabilities enable service providers to accelerate the transition to software defined networking (SDN) and network function virtualization (NFV). I've READ from; IBM,no-follow,http://www-03.ibm.com/press/us/en/pressrelease/42043.wss; that they announced it will invest US$ 17 million in a new data center located in Bogotá. The new center will provide Colombian companies with cloud computing and Big Data services, which will enable organizations to transform their business to meet the growing demands of the local and international markets and to offer flexible, high quality and personalized services for their customers. The new facility expands the US$8 million investment IBM made in Colombia when the company opened a datacenter in 2011. Check out more articles on data centers. The state of data center. I've READ from; Adobe,no-follow,http://www.adobe.com/aboutadobe/pressroom/pressreleases/201309/091613AdobeDeliversStandardizedAudienceMetrics.html; that today they announced new industry-standard audience metrics are available through Adobe® Digital Publishing Suite (DPS). Through analytics included with DPS, Adobe now enables publishers to measure the total number of tablet readers per issue, total number of sessions per issue, average amount of time spent per reader per issue, and average number of sessions per reader per issue, pioneering a clear method to measure and report audience readership across digital magazine editions.